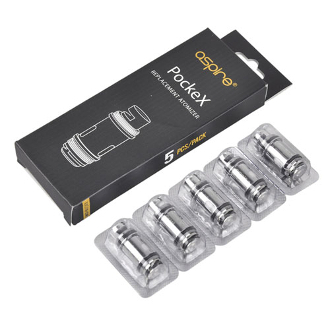 These coils were specifically designed for the PockeX all in one kit. They are available in stainless Steel 316L, 0.6ohm, 18 - 23 W resistance. The Stainless Steel coil wire used in the construction of the coil gives you great longevity.